The next-generation, 2016 version of the Skoda Superb luxury saloon will make its debut at next year’s Geneva Motor Show. 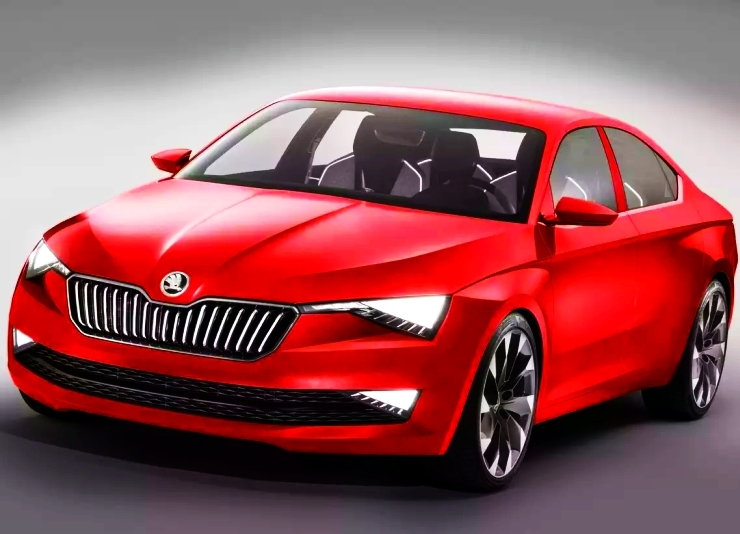 However, confusion reigns as to whether Czech automaker Skoda will showcase a production version of the 2016 Superb at Geneva, or whether a concept version will be unveiled first. What is certain though, is the fact that the 2016 Superb, in its next generation, will move onto Volkswagen group’s MQB platform. The 2016, 4th generation Skoda Superb luxury saloon will share the MQB platform with the likes of the 6th generation Passat, the 3rd generation Octavia and the 7th generation Golf cars. The 2016 Superb will host a plug-in hybrid variant, along with an all-turbo petrol and diesel engine line up. Top-end variants sold in Europe are likely to retain the all wheel drive layout. However, the 3.5 liter naturally aspirated V6 petrol motor could make away for a 2 liter TSI turbo petrol unit, in a powerful state of tune nearing the 300 Bhp mark. In terms of dimensions, the 2016 Superb will get larger than ever before, sticking to its limousine-like looks, what with a gargantuan 2,836 mm wheelbase, which is a full 75 mm longer than the current, second generation version. The 2016 Superb will follow Skoda’s new, global design language, taking cues from the Vision C concept. Apart from a longer wheelbase, the 2016 Superb will also gain a raft of new safety equipment, and trick stuff in its segment such as LED headlamps. The luxury saloon will continue to be Skoda’s flagship car as the upcoming seven seat luxury SUV will be slotted in between the MQB Octavia and the all-new Superb. As far as India is concerned, expect the 3rd generation Superb to arrive here sometime in 2016. Earlier this year, Skoda India launched the Superb Facelift, and it will be a minimum of two years before the all-new model arrives to replace the facelifted version. The 2016 Superb will be imported into India as a completely knocked down (CKD) kit, ready for assembly at Skoda’s Aurangabad factory.